Other Construction reviews by real, verified users. Find unbiased ratings on user satisfaction, features, and price based on the most reviews available anywhere. Pervidi offers inspection management and compliance management solutions, designed to enable organizations to manage any type of inspection, audit, or QA activity. PlanoRoofingPro believes that better maintenance is necessary to repair leaks and problems of moisture. This provides the ability to get the success in the issues of repair. PlanRadar is the category leader for construction documentation, task and defect management. Thousands of customers save up to 18% on work-time. Share plans, mark ups, photos, memos, RFIs, tasks & project status in real-time and get documentation for evidence based cases in seconds. You can also control your projects remotely by directly communicating with everyone included in the building process. PlanRadar is available for all iOS, Android and Windows devices and for all browsers. 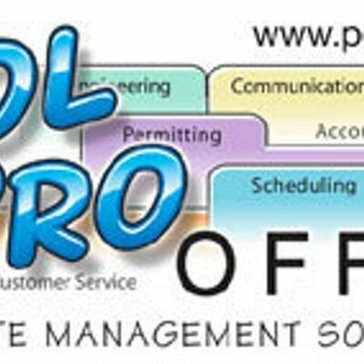 Pool Pro Office is a pool construction project management and service/warranty management solution that provides features to help you manage projects and your business. PowerCalc is a NEC compliant electrical design software for buildings. Process Planner is a die cost estimating and process planning system for sheet metal components. A web-based application that sources product documents and images required for construction submittal packages, compiles these documents into PDF binders based on the user criteria, electronically orders samples of these products, and generates products labels required for submittal and review. 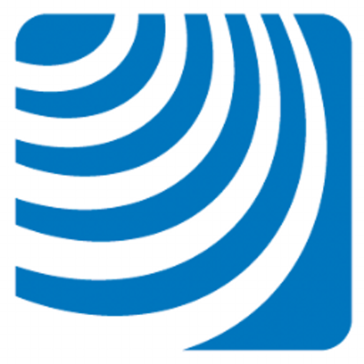 All documents, projects, and binders are archived on the ProMat platform accessible through a user sign in. The ProMat platform provides a single source application that reduces previously manual tasks by over 90% and produces more professional documents. No other platform is addressing the product management opportunity due to the siloed nature of the manufacturer's path to market. Project-SalesAchiever helps to manage the complex sales process in the construction Industry. ProTrakr is a construction contract management and compliance platform built for contractors on public works and infrastructure related projects. Public, private, MBE, and DBE contractors benefit from ProTrakr by giving organizations control over its work activities before it affects the bottom line. Features include: contract progress reports, installation quantities, timesheet & prevailing wage rates, incident reporting, and more. ProWrite simplifies tasks such as tracking welder certification continuity. Optimize your projects compliance with the latest updates of ASME section IX and AWS D1.1. qcWelds is a quality control suite for welding and manufacturing industry in oil and gas and heavy construction sectors. The QESTConcrete suite of software products enables concrete producers to centrally manage their concrete mixes. It utilizes raw material and concrete test quality control data that originates in QESTLab, along with concrete production data (batch records) and costs (raw materials, cartage, etc.). It provides tools which allow concrete producers to design, monitor, analyze, optimize, manage and adjust concrete mixes quickly and easily, resulting in significant savings in concrete production costs. Quadra is project management software for Engineering, Construction, Contracting and Real Estate industry. Construction estimating software that includes quote management, projects templates, and pre-configured assemblies. Rapid Contractor Management is an online system for employed contractor compliance and management. Includes performance review and documentation control functionality. Remodel Cost Spreadsheet is a remodeling estimating software with estimating and reporting tools for the construction remodeling industry with a pre-built cost database. RENOMii is an easy-to-use web app that is specifically designed to manage renovation change orders for busy contractors on the go. Rhumbix is the only construction-specific digital timekeeping solution. Our product will eliminate all the hours your field/office personnel spend processing paper timecards. All field information is fed to the office in real-time, allowing for better management of production and labor costs. We'll provide you with best-in-class labor productivity dashboards to drill into labor data like you've always needed. This data can integrate directly into your Accounting/ERP solutions as well. Road-Ex is an Excavation and Cut & Fill takeoff program for station-based Cross-sectional road works. It combines the digitizer and on screen capabilities and functions into a single, seamless platform. Input data consists of cross-section data for stations. Roofing Estimator Pro is your complete roofing business software that can run any size roofing company - Large or Small. RoviTracker is a solution that collects data from portable assets and provides construction, oil and gas, mining and the industrial space with transparencies into utilization, safety and profitabilities from the valued assets, namely, people, places and things. Sales1440 provides lead management, sales automation, and customer relationship management (CRM) designed specifically for todays builder. Enable inspectors, auditors and surveyors to more efficiently collect data and communicate findings. ScopeAssist is an onsite scoping tool that guides you through the inspection process and automates roof measurements. Sitedrive is a scheduling and work force management tool for on-site resource coordination. Cloud based photo documentation and mapping tools for the mobile workforce. Construction project automation software that offers equipment management, workforce tracking, and site materials management features. Construction management photo & communication app that makes uploads instantaneous and documentation automatic. Pioneering technology to promote safety, savings & compliance in Construction. Save time, money and reduce risk by bringing your electrical infrastructure online and at your fingertips, available anywhere, anytime, on any device. SnagR connects developers with contractors, field team with head office, and data with analytics. No more time lost to paperwork, compiling reports and in between communications with subcontractors. From now on, focus solely on building and creating values. Currently, SnagR is helping 4,500 projects worldwide to capture, monitor, report and analyse site data. With our unique automated KPI dashboards, real-time data can be summarised and analysed. SolidBuilder Design-Build is the ideal design software for Builders and Remodelers. The Design-Build product contains 100% of the SolidBuilder Design Center's easy to use interface with its stunning visualization tools. You can design very quickly and elegantly, but also accurately with it's easy user interface. SolidBuilder Framing Pro is the ideal software solution for anyone wanting to optimize material usage in their entire building including, Floors, Walls and Roofs. Framing Pro not only optimizes your material usage but it also provides the reports to tell and show you how to make every cut to minimize the material needed to save you money on every project. Framing Pro employs a different and more technically inclined user interface than the other products. This is because of the deep math required in the Optimization. SpecifiedBy is a database of building products with project management, technical research and comparison features making for manageable specification decisions and more. Position your products. Stimulate your sales. Drive your decisions. Stonemont Solutions develops quality control, plant flow modeling, and mix design software for the construction materials industry. An effective and Smart way of Property Management, a Mobile App does Progress Update through Image and Video uploads and allows to mark Project Location through Geofencing and Assign to Site Engineers. Collects information on labor and equipment usage as well as installed quantities of material and subcontracts. TiSoft ElectricalDesign helps you design any building's electrical installation, make all the necessary calculations ensuring code compliance, and produce a variety of drawings, floorplans, schematics and reports. TopBuilder Solutions is the only system that combines an industry specific customer relationship management (CRM) system with lead management, automated and customizable, pre-storyboarded and pre-written follow-up/drip campaigns, your own branded email marketing, and a branded pre-written home builder newsletter. TradeTapp is a comprehensive vendor assessment application built to mitigate subcontractor losses by taking a data-collaborative approach across general contractors and developers. Our user-friendly platform collects data efficiently, compiles analytics, and streamlines the award review process. We use detailed data insights, financial benchmarking, award aggregation, and project specific risk analysis to help inform or craft a mitigation plan for each vendor selection decision. Hi there! Can I help you find the best Other Construction solutions?